These times that we continue to come and be with you, to merge our consciousness with yours and yours with ours are becoming more and more frequent not only through this channel source but through many sources across the planet. Because the times are moving toward a new understanding, a further understanding … call it a further revealing of the truths that have been hidden away for so long from many of you. Those times are coming to an end. Ashtar has spoken of it. Sunat Kumara has spoken of it. Archangel Michael and many, many, more including myself have spoken of these shifts and changes you are right on the cusp of now. All it takes now is for each one of you to continue to evolve within yourself, continue to allow your consciousness to continue to rise as the vibrations continue to rise all around you and within you. For as the energies continue to come into the planet and move into individuals across the planet — you included — many of you are taking these energies within; finding that they are quite powerful, quite strong, and tend to cause imbalances at times within your bodies, bring about physical alteration, physical changes, pains if you will. Aches and pains. Discomfort of many different kinds. Know that this is still at this point only fleeting for it will pass. These pains, these imbalances will pass because each one of you is coming into balance more and more each day. More and more each day as the frequencies rise, the energies continue to come in. And you take these energies into your body: physical, astral, etheric, mental, even the causal – as you take these energies in feel the changes that are resulting from this as your physical bodies are literally changing from carbon-based to crystalline. First it is happening at the higher levels within yourself. Eventually it will come to the physical body as well because you are all destined to move through this ascension and move through this transition that you are in right now to move closer and closer to your own personal ascension. It only takes continuing understanding, continuing letting go of the old, the old paradigm, the old programming that keeps you held still at times to this 3-dimensional illusion that has been created here. It was created for a reason. The reason that it was created for are no longer needed. Duality as you have come to know, has been your reality here. It is fast dissipating. You only know duality at this point as you stay within the three-dimensional illusion. But move beyond it and duality as you have come to know ceases to exist. Including would be all that pains and suffering which you have also come to know will also dissipate. It will be no longer as you move into these higher vibrations. And I tell you now as Sananda, as Ashtar, as Archangel Michael, as Sanat Kumara, St. Germain, and all the rest of our brothers and sisters, tell you now that you are at that finish line. And it is time for each and every one of you to cross the line to know that as you cross the line you first cross the higher levels within yourself and eventually your physical body, the consciousness within your physical form, will move along with it as well. You could say that you have arrived. And you have. But only if you believe it! Believe that you have arrived, believe that this is the end and the beginning of the next. Believe it. It will be there. I AM Sananda. I leave you now in peace and love. Continue to go out and share the light that you all are. Om Mani Padme Hum. Om Mani Padme Hum. Om. Om. Greetings. Greetings to you! We are here to continue this process, this understanding, this continuing revealing that is going on. And if you are not aware of the many changes that are happening then you are asleep. So if you are ready to awaken, and fully awaken, then hear these words that are being given to you. Not only by us through this channel Source, but through many of the sources now, including not only those of channeling but also the many Intel sources, the whistleblowers as you call them. The many that are coming forth and bringing these new revealings, these new understandings, bring the truth forward. And the truth is coming, people. It is coming. It is coming in droves. You are going to notice in the very near future here as you continue to look in your Internet and look at all of those various sites that many of you go to that the information is going to become overwhelming to you. Whereas at times you sit there and wonder, well when is something going to happen, and you are saying that you have run out of something to read or listen to or whatever it might be. And this is going to change drastically because you are going to come to a point where you are not going to be able to keep up with all of the information that is coming forward. And it is going to come forward in many different ways: in through the various channeling sources, the various Intel and whistleblowing, and it is also going to begin more and more to filter out through your mass media. How is that for something here!? You had probably not thought of that that it was going to come in this way. But it is. It is going to come. Your mass media is going to change. It’s going to turn around. It is going to begin to bring the truth forward because they have realized that the people are turning off to them. They are turning the dials and not even watching those news broadcasts anymore because they know that it is, yes fake news. But it is going to turn because it must turn. Those that are having their experiences in their jobs and all of this, are going to realize that they are not going to have jobs unless they begin to tell the truth. So this is going to change very much so. And we spoke, others have spoken here that there are going to be dominoes falling and that one has already fallen. A little one you might say. But a big one is coming. A big domino is about to fall and you are going to find that likely in this month that you are in now. As you are hearing, many of you are hearing that this is the month. And we can say that is going to be an interesting month. We are not going to say that The Event is going to happen, or this or that is going to happen, but it is in process here and so much is about to turn here. Turn for the better. You have spoken earlier in terms of your chemtrails and this, and this is dissipating across the planet. It is. The programming that has been involved in this is coming to an end and you are going to see this and it is going to coincide with other things that are coming as well. Including that even those of arrests and other things that are going to clear up the darkness that is still out there. It is going to clear it up and is going to bring the light forward shining through as if you can look up at the sky and you can see the light coming through the clouds everywhere. And this is what it is going to be like. And this is what you are going to notice as the pre Event as this happens. You are going to notice the light being different in the skies. This is a hint for many of you here. You are going to notice this. It is going to be everywhere across the planet. And this will be the precursor of The Event coming at that time. We are going to open up for questions here now. You can now un-mute your phones here and ask your questions. Anyone out there? Q: In my job I take visitors to Ireland on tours of the Boyne Valley which has been a very sacred place in ancient Irish history. It’s full of these megalithic structures that are older than the pyramids in Egypt. It’s a mystery what the structures were built for but I’ve done some research and it seems like they were energy machines built on the ley lines/energy lines. They also have running water underneath. They’re really huge stone structures aligned to constellations. (On the winter and summer solstice the sun’s rays penetrate to the back wall of these structures.) So I really want to know what these structures were built for and who the people are that built them and what happened to them? OWS: What we are going to tell you now you may or may not already know or surmise here. But this particular area is ancient as you are saying, and it has a frequency that continues to this day in that area because of those that were there long ago here. We speak of those of the Atlanteans. They were very much involved in this area and in some ways it was even connected to the Atlantean Continent here. And from Atlantis, when Atlantis went through its calamities and its destruction, those moved from the Atlantean Continent onto into the Ireland area, specifically, and built those structures as you know it. And they built them because they were continuing on their culture: their culture, their understanding their use of crystals, and use of monolithic devices and structures, and the use of energy. They were very much aware of energy and how to use it and to create free energy, you might say. And it was a token or an understanding that is coming to the world at this point now. There are those inventions, those technology that is coming forward in this way that is going to remember or begin to use these frequencies, these energy ley lines and such, and be able to use this as free energy coming into the planet and replacing all of that which has held the sway of the people of the planet to continue the monetary gains from the use of energy. It is such a shame as you look around and you see the use of energy and how it has been used for, done for profit where as there is free energy everywhere. And everyone across the planet should have and will have the use of this energy in many different ways. And some of what you are speaking of here in this area is coming back and that technology will be known once again. Okay? Q: There are stories in Irish mythology that beings, godlike beings, came to Ireland (it literally says,) “on dark clouds” and they landed on a mountain. So to me it sounds like a ship area. And they also say the area of the Boyne Valley is called the Palace of the Boyne (Brú na Bóinne). And there was all descriptions of areas of inestimable wealth, and there were marble palaces and things like that. But none of those remains are around so I wonder what happened to all of that. OWS: Much of this will come as the Atlantis and Lemuria, as you know it, rise again. We are not going to say that the continents themselves are going to rise but the culture, the understanding, the revealings, the knowing’s from those times are going to rise. Q: I noticed the crystalline body is emerging[?] from my body and I started to notice sparkles on my skin a couple of months ago. Now those sparkles are getting multicolored. Is it the rainbow light body coming in? OWS: This is not quite as you are saying the light body here. This is an indication that your bodies are changing from the carbon structure-base to the crystalline structure-based. Now we must caution you though if you go to your medical doctors and say I am turning into crystal. See all the crystals there. They will not understand this and you will get nowhere with this. This is again for those that have eyes to see and ears to hear. So you are beginning and will more and more begin to see this. Not that your physical body is going to one day be carbon-based and the next day be all crystal. That would be not correct at all. But it is changing over a period of time, over a process. And as we say many times, these changes come at the higher levels first and then filter down to the physical body. So what you are seeing directly is not your physical body changing but your astral and etheric body within that is beginning to create this more crystalline structure change within your physical form. I was told to hold my quartz crystal. Information came regarding that from Doctor [Masaru] Emoto that the quartz crystal is the molecular structure as is [like] that of our bodies which is I think 70% or more water and that we are the same. As Doctor Emoto says water has a consciousness. When you talk to it and you say love and peace and harmony and very positive things, the water turns crystalline with no toxins, has clarity and is very healthy for us. Whereas if you say I hate you and this and that, the water crystalline form changes and it’s very negative and it’s not good for our bodies. Then what came to me was because we are the same structure, as we talk to water the same thing happens as when we talk to ourselves saying non-loving things to our bodies, not loving who we are, that that affects our bodies obviously just like it affects water. So basically saying that we are the same. So I wonder if you have more to share or expand on that. OWS: We ask if there is an actual question here though. Q: Yeah I think it’s about, you know, that that information, coming to me. Was there more, you know, for people to know about that, or was that confirmed, or is there something more to add to that? 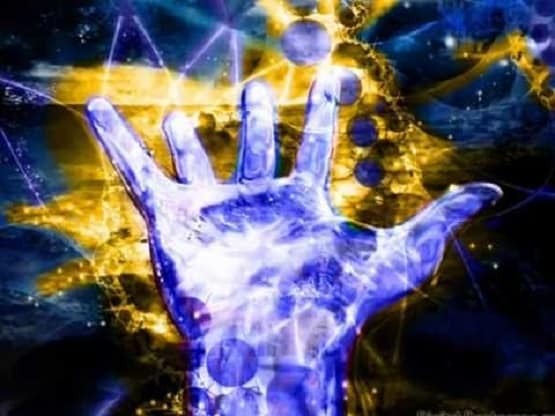 OWS: We can confirm as you are receiving there, are as you are becoming more and more crystalline and your frequency is becoming more crystalline in this understanding, it is connecting more and more to those quartz crystals and other crystals across the planet. This is how the crystal energy is coming back into the understanding of man here. And it is going, as you come from the Atlantean and Lemurian heritage, this heritage is coming back. This is largely why this group is being encouraged to work toward finding or recovering those ancient records. Because this is all about the same thing. It is all about frequency and vibration and continuing to connect to this frequency and vibration. So as your vibrations increase you are coming more and more to the connection with those crystalline structures just as of old. Just the same as of old. And you are going to find that crystals are going to become very important in your lives much more so than they have been. But if you understand what has occurred over the many millennia of time here, many many thousands of years here, with the control of the cabal and the creating of this three-dimensional illusion here, that you have been held back from this crystalline understanding and kept from these frequencies, these higher frequencies that crystals generate. And as you continue to raise your vibrations and your frequency, you are going to attract those crystals back to you that are going to accentuate those frequencies and vibrations within you as well. This is why that one that is the Marilou is being directed and moved toward the understanding, or the re-understanding of the crystals as well. Okay? OWS: Other questions here? We would ask that as you ask a question please make it a little bit briefer question here. More succinct. Q: In the past few months I consider to be training in my dreams on how to manifest things. I’ve been learning pretty quick (in my dreams) and every time that I have a dream I always manifest things. Like just thinking about it it happens. So my question would be is there a timeline where all this training in our dreams will be manifesting in the 3-D reality, that we’ll be able to accomplish the same thing in this 3-D.
OWS: You will not be able to do it in your 3-D reality as you know it but you will be able to do this more and more as we have been saying. As you raise your vibrations and continue to hold those higher vibrations and when you have done so and you have successfully moved from the third dimension into into the fourth and even the fifth dimension and be able to hold it there longer and longer, then your dreams, your visions, your desires will become more manifest quicker because of being in those higher vibrations. You understand this? Q: This is not a question but I just want to say that over the last week I’ve had two experiences and you mentioned the change of the colors in the sky. Once I was taken out of the house because the whole sky seemed to have, coming from the West at sunset, to change all to gold and yellow and orange everywhere. Like not just in one cloud but everywhere! I was so surprised I had to bring somebody in to look at this because I’ve never experienced this in life. And then when we went to the eastern side of the house there were two wonderful rainbows going from southeast totally. They were the whole semicircle and in the second instance there were two of those. There’s no question but I would was thinking is that a sign of anything more of what you had said in your opening statements there? OWS: What we can say is things are changing. Everything is shifting. The energies are shifting. And you are going to begin to see more and more of these revealings that are coming to you that are going to open up the world to you that you have never seen before. Not in this lifetime anyway. That is all we can say on this now at this point. Q: I would like to know is if we are continuing our life from Lemuria at that time it was destroyed, that we didn’t get to complete but we are completing it now? And the reason I ask that is you told me at the Advance that I was in the arts at that time and I’m in the arts now also, in astrology and numerology and that. Is that true? OWS: It is not true that you are continuing your Lemurian lifetime but it is true that you are bringing the heritage back here. So that is true, the heritage, the culture, the understanding, the truth that you knew from those times. Because as you move into these higher vibrations and higher dimensional frequencies you are going to reconnect with those times of long past both Atlantean, Lemurian, and others as well. And you will also connect with those understandings of coming from other planets, other systems, and all of this also. Q: I am highly interested in and constantly being drawn to the technology that’s available to us now that’s consciousness-expanding. My question is are the tachyon chambers, that I believe emanate from Cobra and I believe he distributes those, is that the highest available healing technology available to us now on the planet? OWS: You say available to you now where you could actually go to something, then we would say that is pretty accurate here. But if you were to say that that is the highest available to you in terms of a knowing of what is out there, then no it is not even close yet. There are technology that has been held back from you by those of the dark forces for long time here. And they have held this back from you and what you would call the Alliance, those of the light forces, are in the process of releasing these technologies. And these technologies that will be coming are far beyond what is there in those tachyon chambers. But it is a beginning here. Q: Do you foresee those technologies would be released within a shorter period of time … are we talking maybe the next year or two or a longer period of time? OWS: There we go! We can only answer this with one word: Soon. OWS: Hold please. Now you can continue. Q: You said the dominoes had already begun to fall. Was that with the Harvey Weinstein/ Hollywood scandal being revealed. Is that the first domino? OWS: Not exactly, but it is something that is a part of the entire process yes. There are many more that are coming, many more of these dominoes. Some big, some small, but they are all going to create the effect of all of them falling at some point which will then lead directly to that of The Event. Q: When I was training for several years in a class which was about accessing consciousness and the Akashic Record and whatever directly, one of the processes that we were taught to use was something which they called ‘pulling the energy’. I thought of this because someone else asked about sending the Violet Flame to people and was that a good thing or was that a violation of the Prime Directive. But with this pulling the energy, we’re pulling the fun/play/ ease/joy energy from the universe through another being and supposedly that makes that person feel better, or maybe ease a conflict between two people. And it was told to us it was better to pull the energy than to push the energy at somebody. That it was actually a more gentle, loving, thing to do. So can you give me a little more if that’s against the Prime Directive or is that acceptable or what? OWS: We can tell you is what you are saying is just a name, or just an understanding that is not quite accurate. Whether you are pulling or pushing or whatever it might be, it is still the same thing. You are sending the energy in one way or another. And as you send the energy, if you are sending the energy with a direct result in mind, then you can at certain points be interfering and be against the Prime Directive. That is that. But if you send the energy however it would be that you do so, but send it with love, send it with the understanding that it is to go wherever it needs to go, and how it is accepted and it is accepted, that is all there is to it. Send it with love. If you leave it at that with no result in mind here then everything is okay. Now, with that understanding, if you send it to another person and that person understands that you are sending it to them then you can have a result in mind. You see? If they know about it and they accept it then certainly there can be a result, there can be a goal in mind here too, whether it is healing or whatever it might be. You see? Q: After I’ve done plant medicine, ayahuasca, in the past and it was very helpful for me in my journey. I haven’t felt compelled to do it for about a year and a half and suddenly felt very impulsively compelled to do it. And in doing the ceremony on Friday night and I felt your presence there very strongly. I was guided to receive transmission and you were leading me through this and guiding me through this. I asked at a certain point about ayahuasca itself and you said it wasn’t the only way we could accomplish the specific transmission but it was the most direct and efficient and so hence the ayahuasca ceremony. My question is in going forward for me is this something that I should continue to work with both for my own journey and possibly to facilitate and assist others? OWS: First of all as you know there are no ‘shoulds’. So you do whatever you want to do here. And to use these are types of medicinal plants or whatever, you can call them as tools, various tools that you would have to expand your consciousness, to raise your consciousness, even at times to raise vibration. And if you are doing it for this purpose then certainly there is nothing wrong with this. Now, understand though that in order to communicate with you, as you are saying, while you were doing this, it was necessary because you have not had the training yet to open up to have the connection rather to open up to these type of channeling sources here as we are doing through this one, James. This one James has had a great deal of training over the years here in this lifetime and many lifetimes even previous to this in preparation for these times. So for you to have this understanding you would need to accentuate it was something else that, you might say, speeds up the process and is able to bring you out of yourself. That is the important thing. In order to do these types of communications you must be able to let go of yourself, to come outside of yourself you might say. And this is what is needed and these types of medicinal plants and other tools such as this are needed at times to create this understanding in a shorter period of time. You see? Q: Yes this make sense. There was also a sense complicit communication that needed this transmission for now in what we were doing needed a certain amount of, for lack of a better word, secrecy. And was that also why I was guided to do it that way and not through perhaps another human healer? OWS: We can say that it is important for you to experience the connection yourself rather than through another. This is even saying that these types of channeling experiences that we are doing here is going to come to an end at a certain point here because it will no longer be needed because all of you will have your connection with your higher self, much, much more than you do now. And when that happens there will be no need of something outside of yourself to continue to guide and nudge you along. Okay? ascended synergistically and potentiated by the other crystals all around us? OWS: Very much so. As you continue to rise in vibration, raise your frequencies, and become more and more crystalline in a sense here, then you are going to, as you say, connect to those crystals around the planet and even within the planet. And as you do so you will be raising, continuing to raise your vibrations and in so doing you will find that the love frequency will rise along with it. And everything that goes along with the love frequency as well. And those of the fear frequency and all of this will dissipate greatly and eventually be gone entirely. Q: I am wondering what it means to be a Keeper of the Flame. If when we are asked in meditation by a higher being to … well maybe not even asked. If one is given the opportunity to be a Keeper of the Flame I am wondering what that means and what that entails. Specifically the Orange Flame. OWS: You all have the capability of being the Keeper of the Flame both within yourself and outside of yourself as well. So you can all be considered, in this sense, the Keepers of the Flame or the spreaders of the Flame, the Spreaders of the Light, the Light Bearers, the light sharers, all of this. This is all one and the same. Specifically though there are ones that are designated as these Keepers of the Flame, more of the Guardians you might say, Guardians of the Flame here and they are the ones that are continuing from outside of this realm to continue to influence the various ones here on this planet at this time. They are monitoring, you might say, the Flame across just as the Sananda did this meditation with you where you saw the Flames everywhere. Where the Keepers of the Flame areS the ones that are monitoring all of this. Okay? And before we do so we are just going to put — what is you’re saying here — a plug out there in terms of your Advance. That it is coming and it is coming very quickly. And we would suggest that all of you that have not yet become a part of this be ready to experience be ready to experience some of those things which you have already been talking about and sharing. And yes as we said earlier expect something unexpected here. Something that has not yet been spoken of. And we cannot give this, of course, because then it would not be unexpected. So just be ready for this and continue to keep your eyes on the sky. Okay? Because lots of things are coming and much will be revealed from looking up at the sky. This entry was posted in Uncategorized and tagged "One Who Serves", 3D dissapting fast, end-times, evolve within yourself, higher levels, James McConnell, Lord Sananda, love, Payson Prepare For Change. Bookmark the permalink.